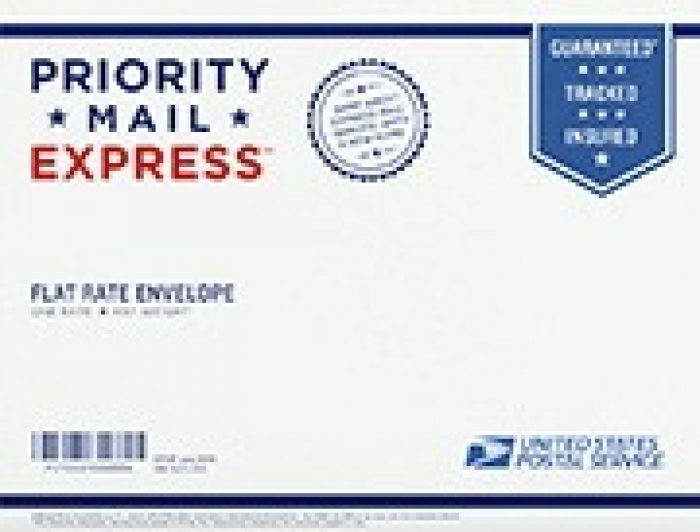 Express Mail Shipping Flat Rate Envelope available on CPO Handbooks and must be placed three days prior to your chosen class. One book only per enevlope. See all terms in description. BOOK IS NOT INCLUDED. THIS IS SHIPPING ONLY. All orders must be placed by 3 PM EST on Monday, Tuesday, Wednesday or Thursday for Express Mail Service to be processed. Item will be sent out within 24 hours after ordering for delivery. All orders placed between Friday – Sunday will be processed on Monday. Item will be sent out within 24 hours for delivery. Fee is $20.00 per book. Orders placed within three days of the chosen class will be cancelled by shipper and student will receive book at class. Address provided must meet USPS standards as a deliverable address. If not, order will be cancelled by shipper. Book must be added separately either as item CPO Handbook or CPO Class (which includes a handbook in its price. Items are delivered to the addressee (recipient) by 12:00 Noon or 3:00 p.m. the next day, or 12:00 Noon or3:00 p.m. the second day. Shipper has authority to cancel any orders.